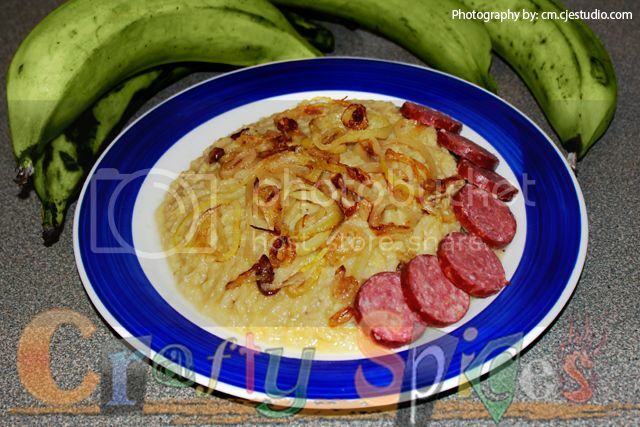 Crafty Spices - Mangu, a Latin Favorite. I’m sure this is nothing new for the Latino community, but for the rest of my friends I wanted to share this Dominican inspired recipe. Peel* (most people peel the plantains, we just cut the ends and score them, but they take a bit longer to cook) and cut plantains into 3 or 4 parts. 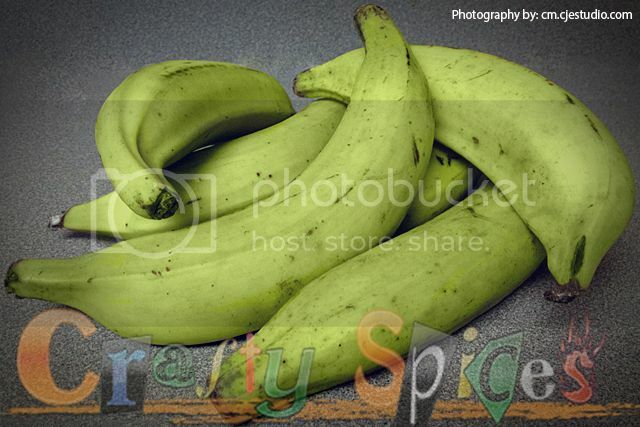 Place water, salt and plantains into saucepan, bring to a boil, and cook for about 20 to 25 minutes, plantains should be tender but slightly firm. 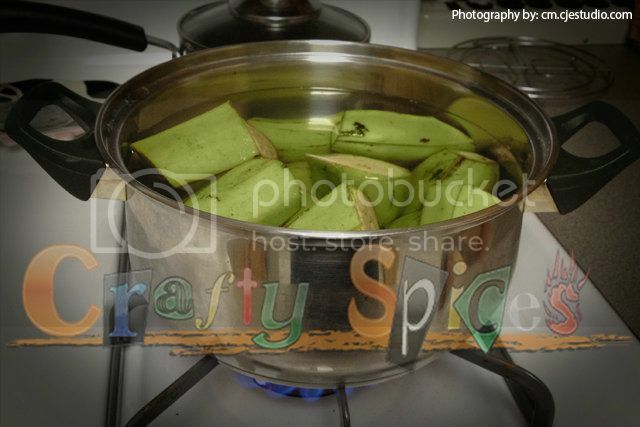 Remove from stove, at this point plantains skin should be mostly loose, remove and dispose of them (if not done so before), drain water, reserving 1 cup of the liquid. In a large bowl, mash plantains with the reserved liquid and butter/Margarine. If you are adding any or all of the optional ingredients, this is the time to add them. Drizzle Extra Virgin Olive Oil after platting. Saute or slow cooked onions (picture above), sausage or salami (picture above), fried or poached eggs, cheese, bacon, etc. * To peel the plantains cut off the ends, make 2 or 3 scores on opposite sides lengthwise, insert knife into one of the scores and peel off that part, then do the same to the other side, and repeat until completely peeled. Jahira cariño estas echa una bábara!!!!!!!!! Con esta receta del Mangu y estoy segura que las demas van a estar cheverisimas. Go ahead girl keep on creating. May God Bless your new craft be successful,but always remember to put God first in everything you do, & you will see doors open wide!!!!!!!!!!! Don't forget me, I can be your assistant!!!!!! !! Hah Hah Hah!!!!!!! Besitos. Might have to buy some plantains tomorrow to try this out, sounds so delicious! If you do, please stop by and let us know if you and your family enjoyed it as much as we do.